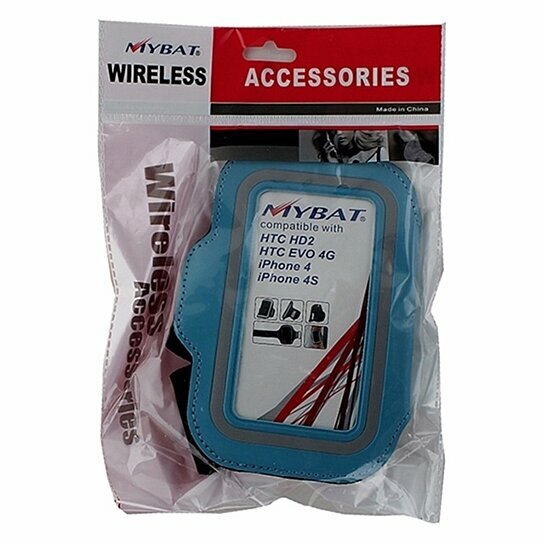 MyBat products, Universal Workout Armband for HTC HD2, HTC Evo 4G, and Apple iPhones 4/4S and 5/5S/SE/5C. Blue and black finish with gray trim. Adjustable velcro strap. Fit phones and devices up to the size of an iPhone 5.